Something has been attacking a remote cabin in Northern Ontario, Canada--it may have left behind a blood trail. 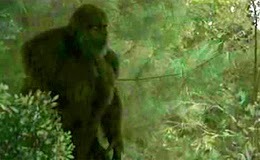 DNA analysis suggests that the creature is a non-human primate. A follow up test will confirm or deny this, and the results could change history. Meanwhile, a new expedition, outfitted with the most advanced surveillance and detection equipment, will set up camp at the cabin and wait for the creature's imminent return. Scientists will be brought in to tell viewers what the evidence reveals.